Damien Verhoeven is Partner in the Regulatory Department and heads Liedekerke's energy practice. He specialises in energy law (electricity, gas, oil; incl. renewables, industrial gasses and petrochemicals) at all market levels. Damien has broad experience in energy regulation (incl. European, Belgian, Flemish and Walloon energy law) and in other legal matters applied to the energy sector (project development, permits, litigation, M&A, contracts, taxation and support schemes, etc.). Damien has a law degree from the University of Louvain (UCL 2000). He is the author of various publications in energy law. 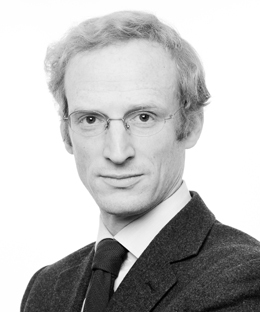 He joined Liedekerke Wolters Waelbroeck Kirkpatrick in 2000 and became a Partner in 2013. Assisting a power producer in a 50 million € tax reimbursement claim for breach of the European directive on the taxation of energy products. Legal compliance check and drafting a vendor due diligence report for the acquistion of a power and gas supplier. Opinion to an offshore stakeholder re: the legality of a measure decreasing the support to offshore wind farms. "Practice head Damien Verhoeven is recognised as a pre-eminent figure in energy regulation in the Belgian market"​ (Chambers, 2015 – band 1).